While I’m always interested in local, indigenous varieties, I was not going to leave Burgenland without tasting some of the famed Austrian Pinot Noir. As the grape that got me into wine, I love tasting expressions of Pinot from around the world. 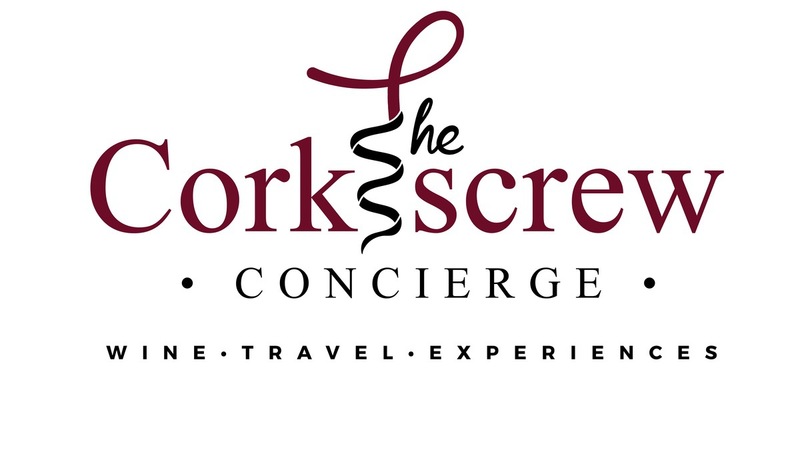 In fact, when I told people that I was going to Austria, the first thing many asked was whether I would get a chance to try some of the delicious Pinot there. Umm, heck yeah! Enter Weingut Juris. And enter Axel Stiegelmar who is a wealth of information not only about Pinot Noir, but about wine history in Austria. I mean he seriously was like a walking encyclopedia and it was great to learn so much about the region and Austrian winemaking in general. 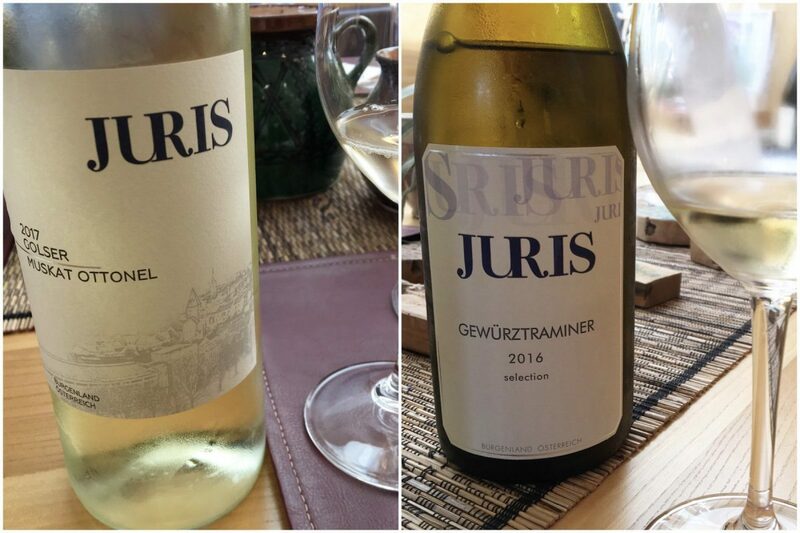 Weingut Juris has been in Axel’s family for over 100 years and was started by his grandfather Juris, after whom the winery was named. 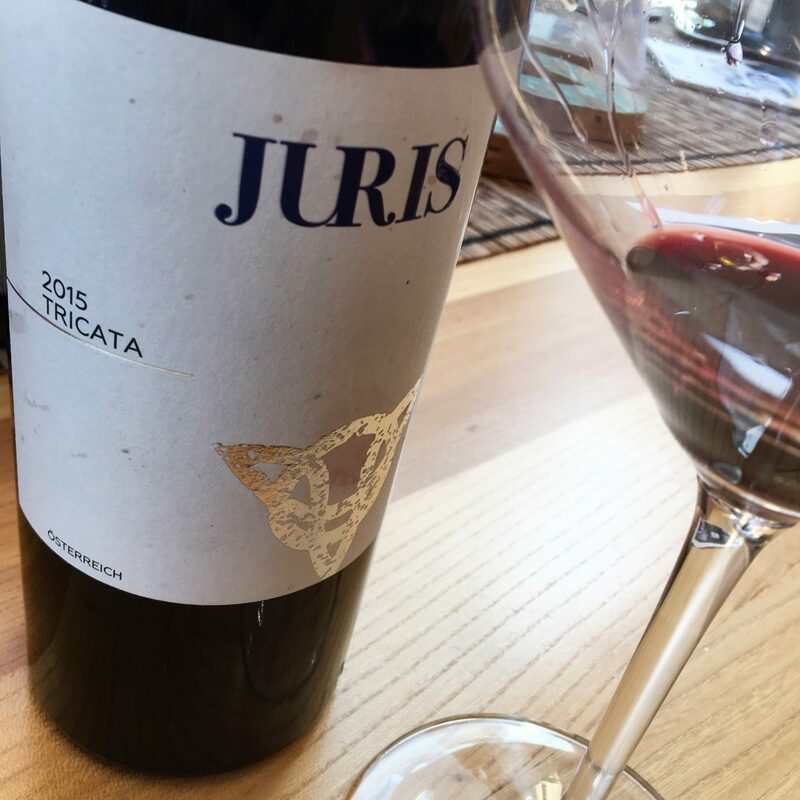 Before taking the helm at Juris, he had experiences elsewhere including a stint at Robert Mondavi in the 1990s. 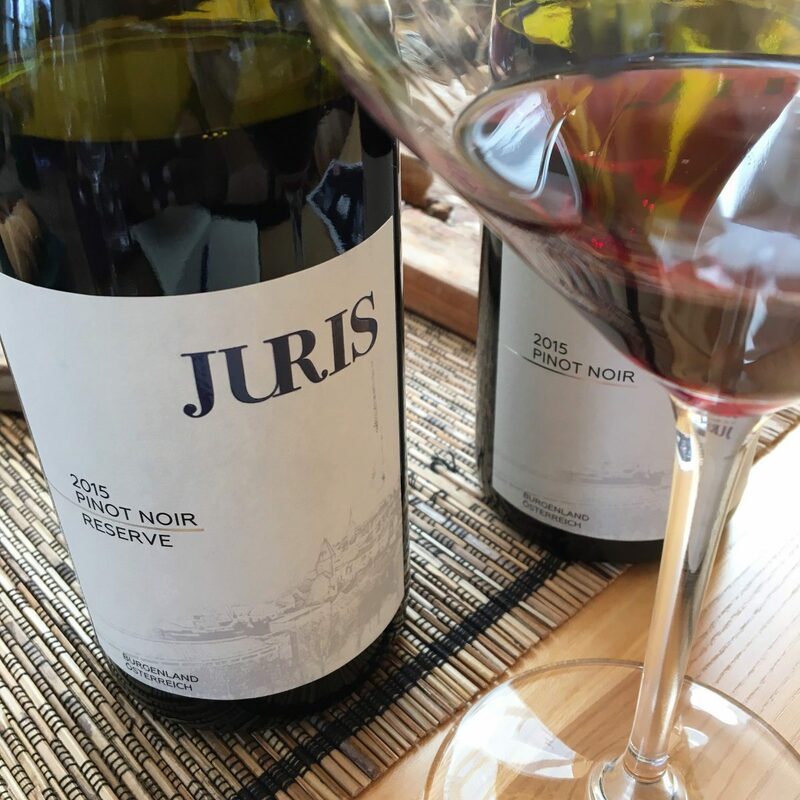 With a beautiful winery in the heart of Gols with lots of green space and a quaint tasting room, this was the perfect way to get in deep with some Pinot, not to mention the other fantastic wines that Juris produces. 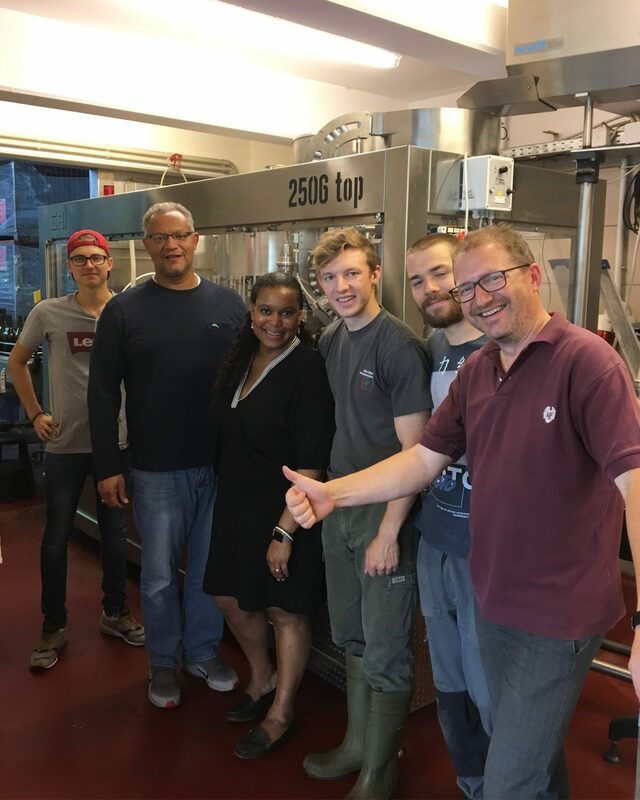 Like so many others that I visited in Burgenland, the entire operation is all about family. I was able to meet Axel’s son Gregor who had just made his very first wine which happened to be an orange wine from the the family’s vineyard in Balaton, Hungary and was bottling while I was there. We may have hung out and snapped a few pics as well. After an extensive tour of the winery including the underground cellars and bottling room, it was time to taste the wines. 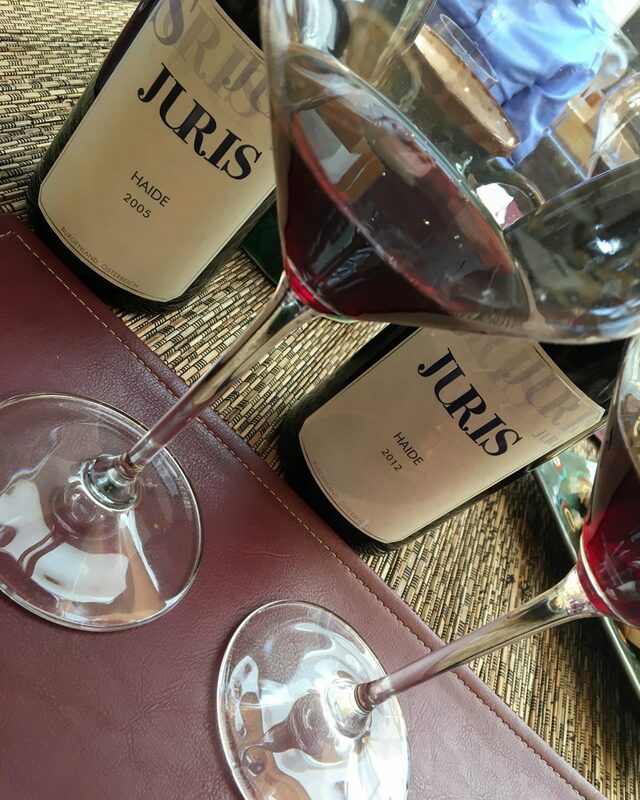 Juris only produces wines from estate grown fruit and crafts terroir driven wines that are quite elegant. We started our tasting with a Sekt2 that was crafted of 100% St. Laurent. As a lover of bubbly, I was all over this. You can read more about this one in my article on delicious non-champagne sparkling wine. First up was the 2017 Golser Muskat Ottonel followed by the 2016 Gewurztraminer. Generally regarded as an aperitif, the Muskat is a wine that Juris produces every year. This quite aromatic wine literally smelled like summer in a bottle. 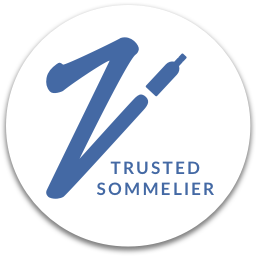 The 2016 Gewurztraminer was similarly aromatic to the Muskat Ottonel with great acidity. Gewurz is one of my go-to wines for crawfish. #DontJudgeMe. Either of these would be fantastic to sip on a hot Texas day. 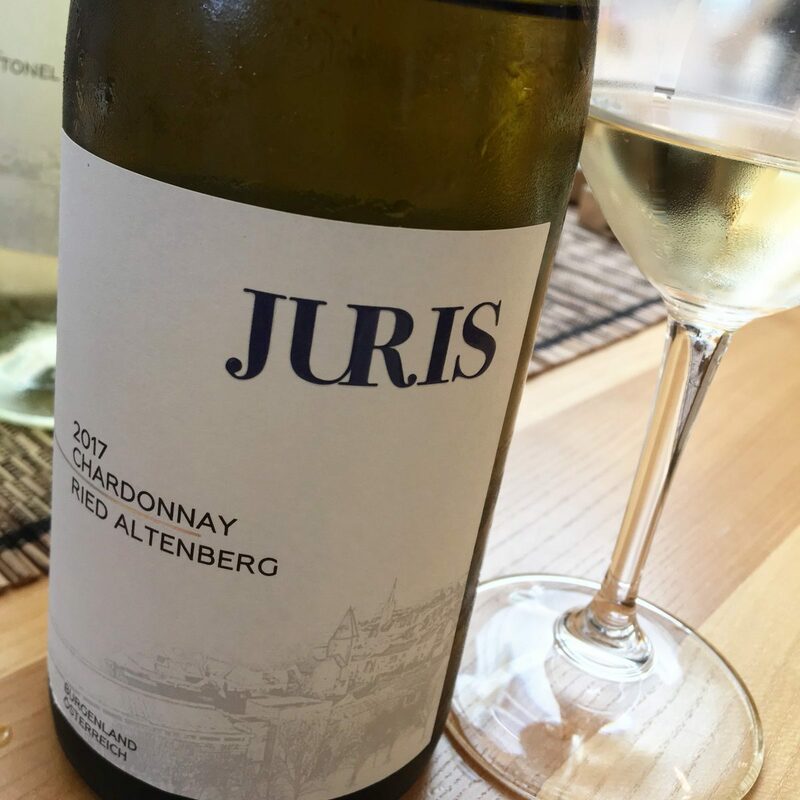 The final white wine was the 2017 Altenberg Chardonnay. 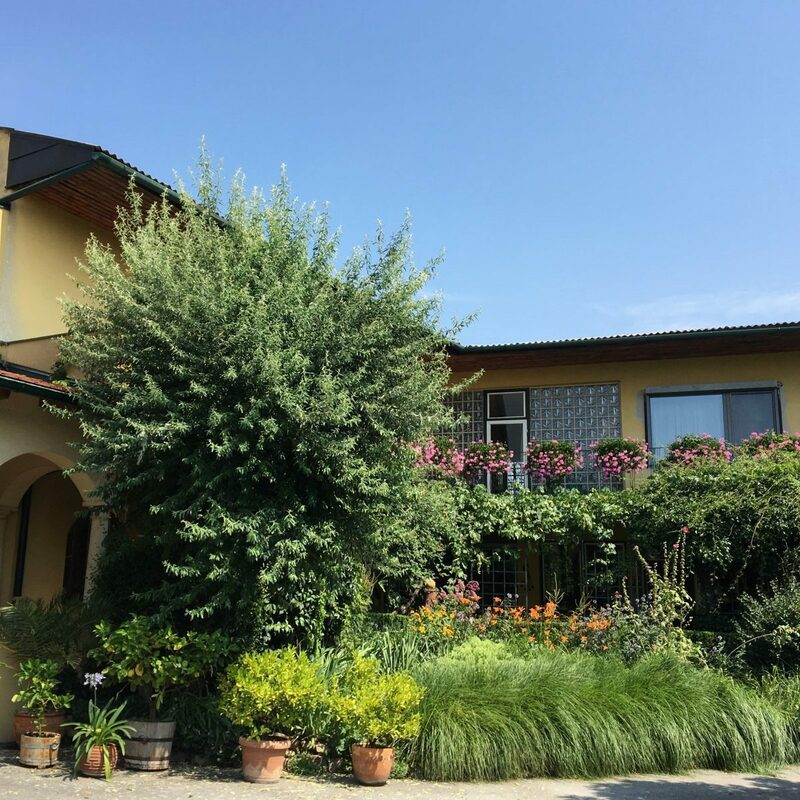 The Altenberg Vineyard, which is considered one of the premier sites in the region, is a south-facing slope located near the village of Gols and features complex soils that results in wines that are profound, complex, and that offer longevity. Juris grows three varieties in the Altenberg vineyard with Chardonnay at the bottom of the slope, Blaufränkisch in the middle, and St. Laurent on the top. This particular Chard was was grown in a mix of sandy loam and limestone and saw no artificial yeasts and no MLF. 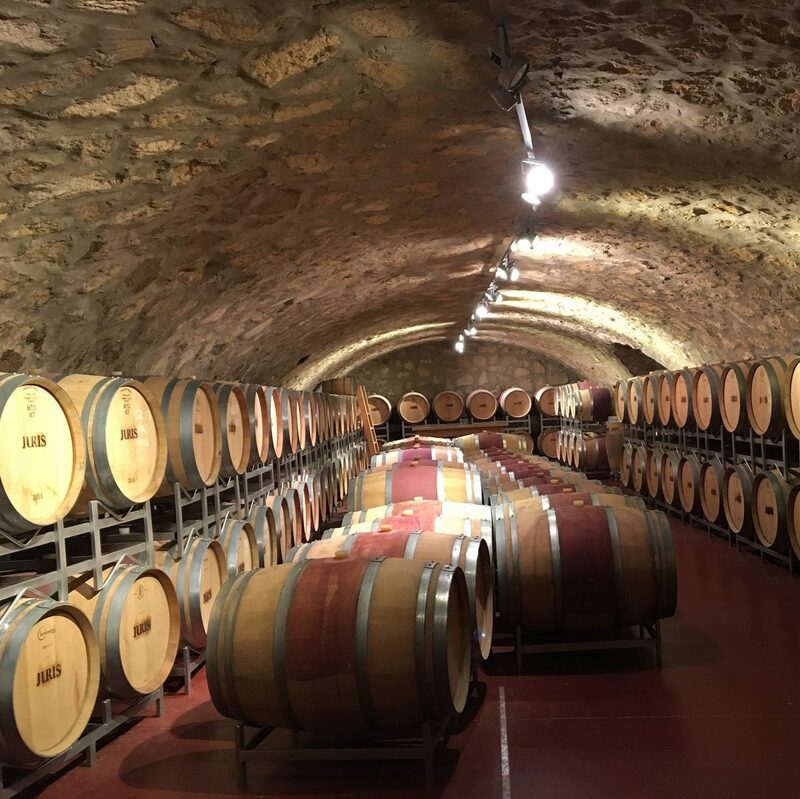 Aged in large oak barrels, the wine spends about 5-6 months on the lees. This lean, yet round version is my kind of Chard. Then it was time for the red wines. 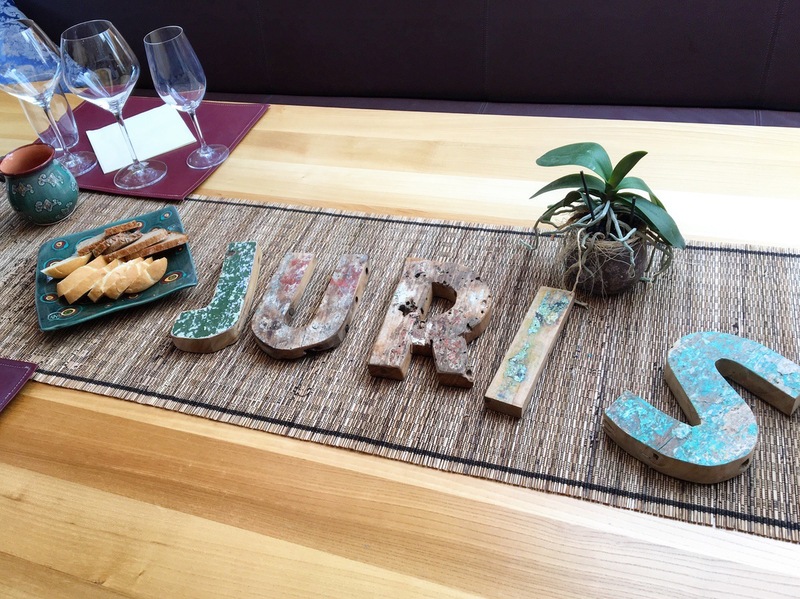 Weingut Juris is renowned for its Pinot Noir and St. Laurent. Both of these varieties are well known for being difficult to grow and it takes someone with patience and talent to do them well. That he’s so dedicated to these varieties says a lot about Axel. We tasted through the Pinot Noir first. 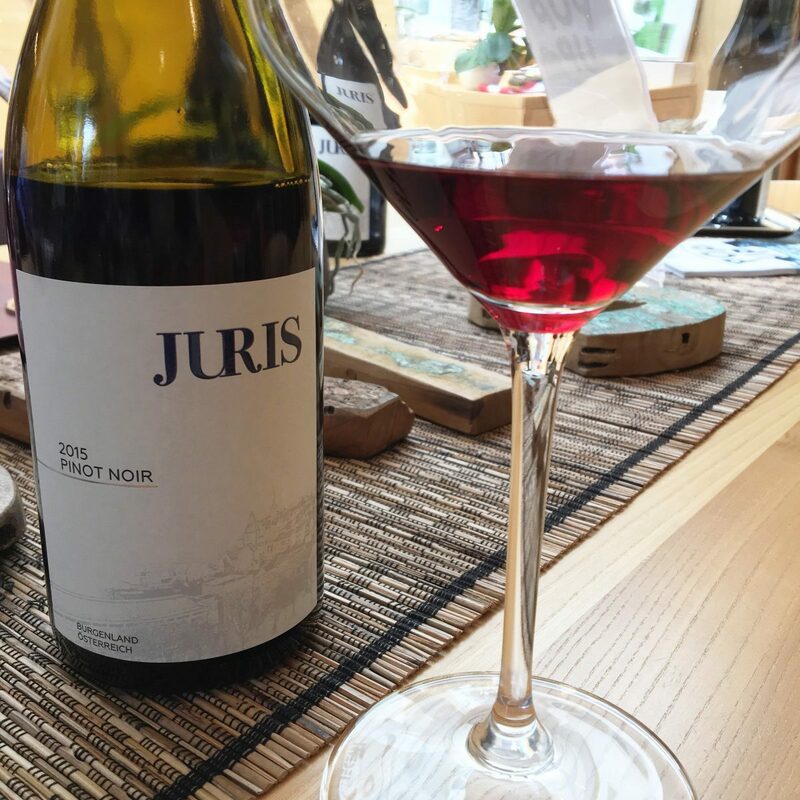 Juris utilizes Pinot Noir clones from Italy, France, Switzerland, and Germany and produces six different Pinots. 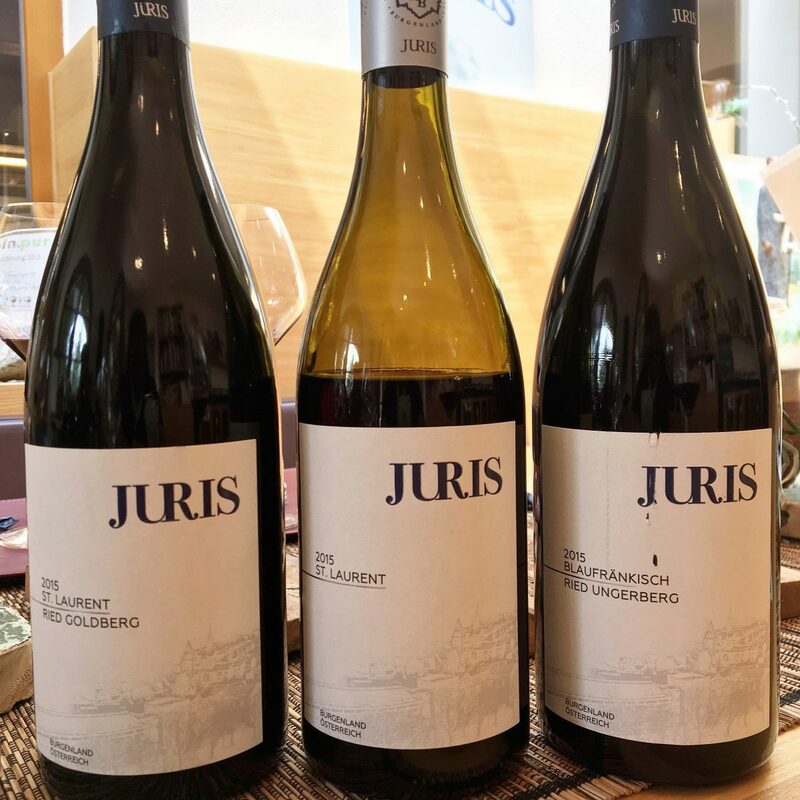 This is quite a feat as Pinot is certainly not the most widely produced variety in Austria.3 While there are several producers of Pinot, most generally do not produce it at the same levels of Juris. I tasted five Pinots with Axel. And what a great lineup it was. The first Pinot was crafted with fruit from various vineyards in the village of Gols. It’s made from younger vineyards that aren’t as deeply rooted which results in wines that show more primary fruit. Fermented at very low temperatures to preserve freshness and fruit flavors (the goal is not extraction here), the wine is very light-bodied with fresh strawberry flavors and crisp acidity. This is one of the Pinots that Juris exports to many countries, including Taiwan. The next Pinot was the Reserve which comes from forty year old vines planted by Axel’s father. This was almost Burgundian in style with its delicate structure along with earthy flavors and nuanced fruit. Love! And brought some home to boot! 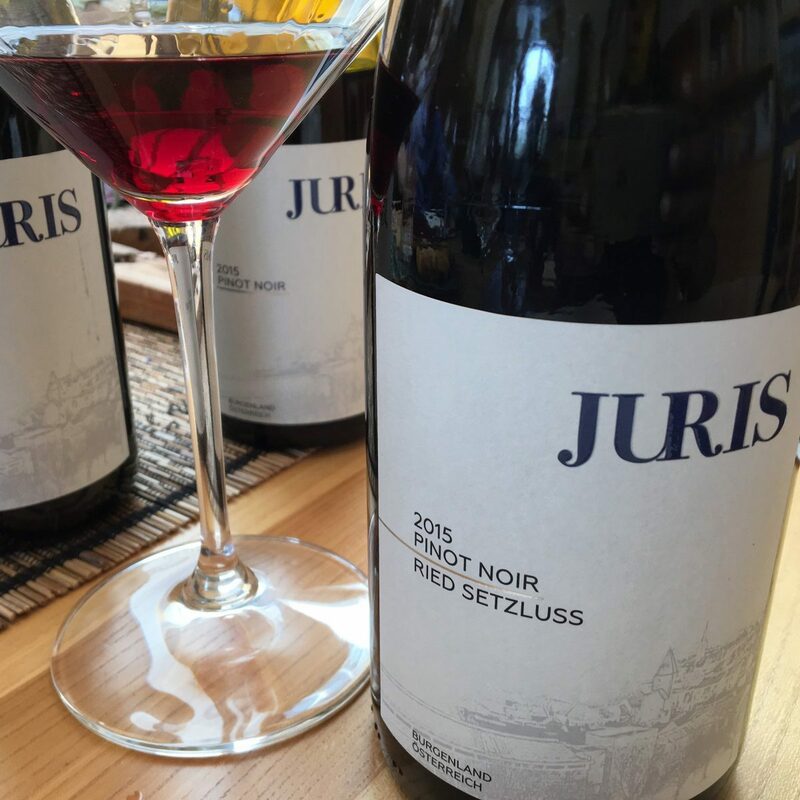 Next up the Setzluss Pinot, one of the single vineyard offerings from Juris. Crafted from small, tight clustered berries on top of a cool plateau, this was a stellar Pinot. 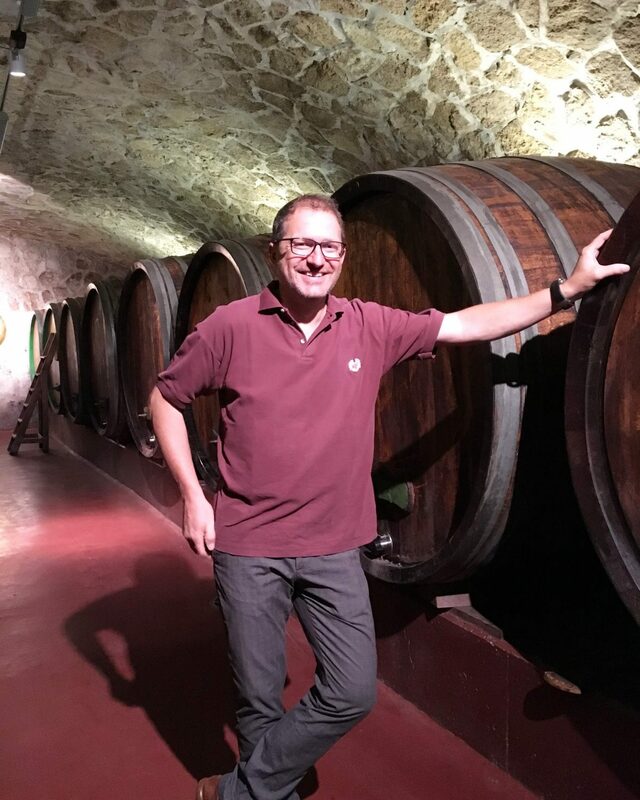 Aged in 500 liter oak barrels, Axel says this approach allows him to “keep the human ego out of the wine” and let the wines speak for themselves. Agreed. The last two Pinots were from the Haide vineyard which was planted by Axel’s father. This vineyard has a higher chalk content and produces extraordinary wines with finesse and elegance. There was such a purity to these wines which made sense given Axel’s passion for terroir and letting the wines speak for themselves. Comparing them side by side, the 2005 was more full-bodied while the 2012 was more elegant. And then it was time for the St. Laurent and Blaufränkisch. St. Laurent (or Sankt Laurent as its known in Austria) made its way to the country from Alsace. Juris has been producing it for over 60 years so they’ve become masters of handling the sometimes finicky grape and are widely regarded as setting the high standard for classic St. Laurent. Axel refers to St. Laurent as a “hippie grape” as we know one of its parents (Pinot Noir) but not the other.4 St. Laurent is also the parent of indigenous varieties Zweigelt and Blaufränkisch. The 2015 St. Laurent was fresh and fruity with the telling acidity of the variety. This is a variety that always shows good structure and acidity and rarely loses it even when temperatures rise. The second St. Laurent comes from the gravel and sandy soils of the Goldberg vineyard, which interestingly enough is on a north-facing slope. Obviously they do north facing slopes south of the equator but this was new for me in the northern hemisphere. But there’s method to the madness. The grapes are planted as such to allow them to stay on the vines for an extended time, but a significant amount of canopy management is still needed to achieve this. The result is small berries with intense flavors. My tasting with Axel finished up the Tricata. I was so intrigued by this quite enticing wine. This was a Blaufränkisch made with dried grapes appassimento style. The grapes were dried on racks until they lost about a third of their weight. 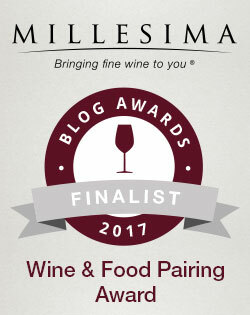 Rich, intense flavors coupled with solid structure and I was in! All in all a fantastic tasting that showcased the excellence of the region. 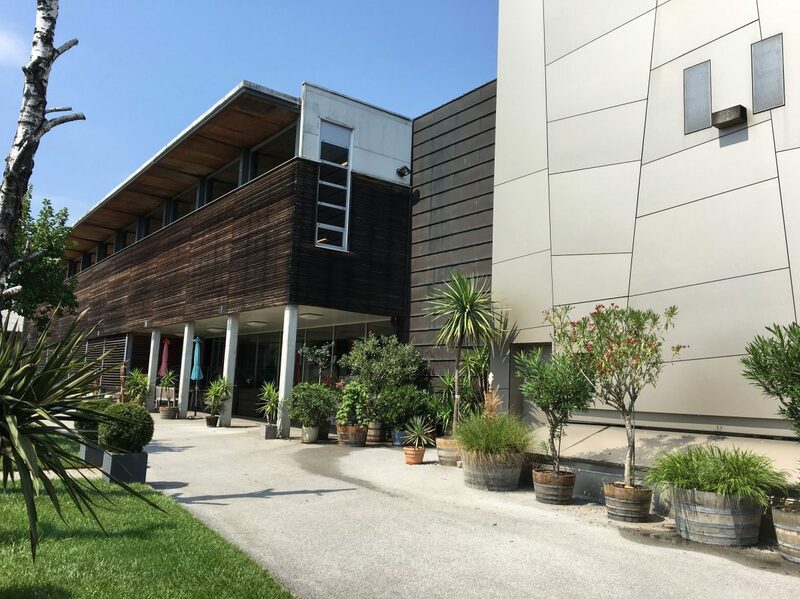 Tastings are available at Weingut Juris by appointment. 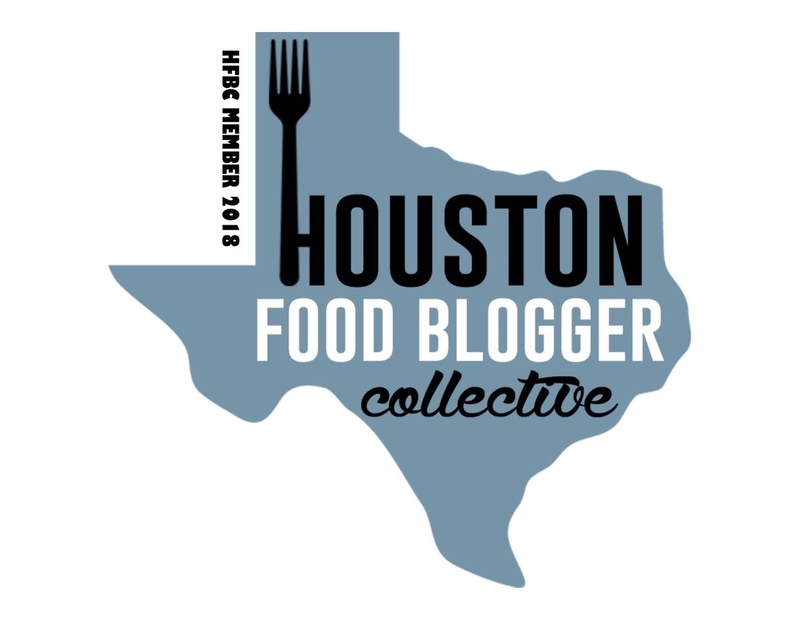 Be sure to also check out my tastings at Beck, Achs, and Pittnauer. Sekt is the name for sparkling wines produced in Austria and Germany. And while the bulk of Sekt is produced in Germany, arguably it was the Austrians who set the quality standard for this bubbly deliciousness. Pinot Noir makes up about 1.3% of vineyard area in Austria.